Are you looking to save thousands? Look no further, this home qualifies for a NO CLOSING COST LOAN. 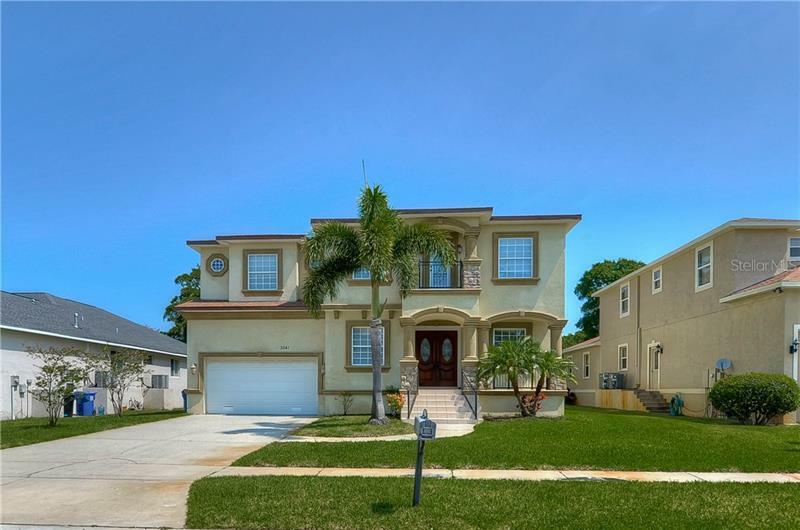 Don’t miss this chance to own this beautifully renovated 4 bed 3 bath POOL home with in-law suite! This home is move in ready with ALL major items replaced in the last couple of years. In 2015, an addition was added to create an in-law suite. Also, at this time a NEW hot water heater & NEW HVAC was installed, the plumbing was updated and the house was re-wired with a new electric panel. The electrical panel offers a hook up for generator , along with a 50 amp RV hookup on the side of the house. In May of 2016, a NEW roof was installed & in 2017 a heated swimming pool w/ pebble tech finish & waterfall was installed. The A/C system is dual zoned, and the front zone was replaced in 2018. Upon entering the home you welcome beautiful laminate wood flooring throughout, custom plantation shutters and a newly painted interior. The true focal point of this home is the update kitchen with custom cabinets, granite, stainless steel appliances, and built in pantry. The completely remodeled master suite offers dual sinks, granite counter tops and walk in shower. The in-law suite offers a private back entrance, large living room, bedroom, bathroom w/ granite, a stand-up shower, and a bonus sewing room that would make a perfect dining room located behind the kitchen. Relax under the the large covered patio overlooking screened pool and fully fenced in yard with storage shed. Schedule your private showing today!